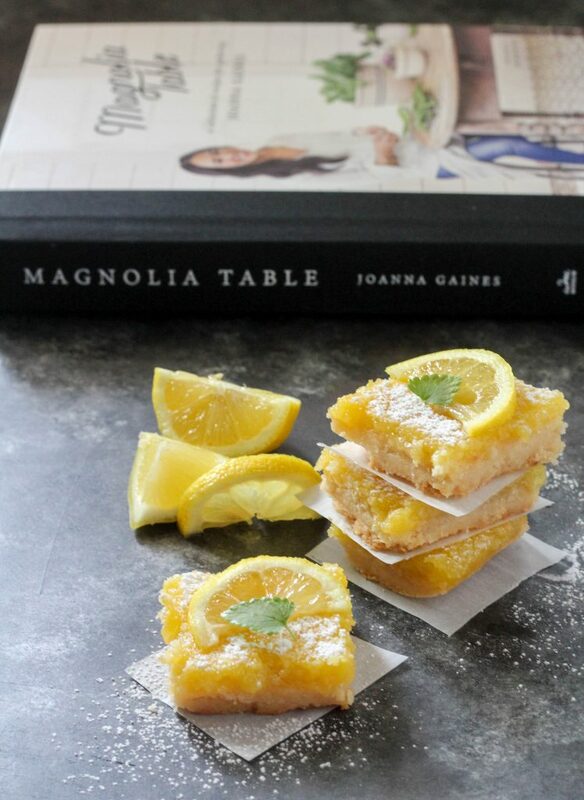 The Magnolia Table cookbook is filled with delicious recipes including Joanna Gaines Lemon Bars. 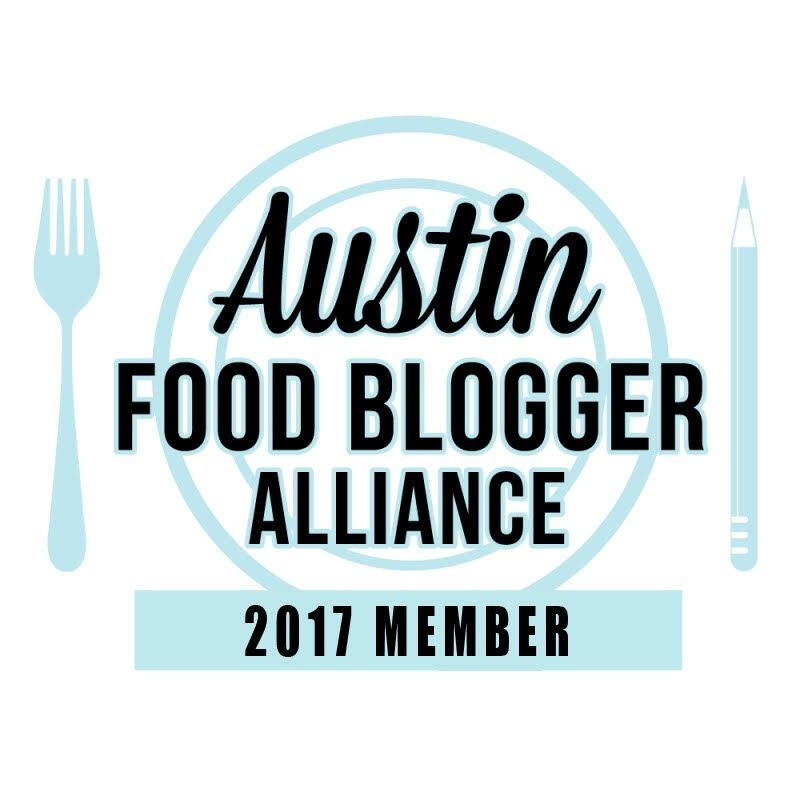 When I first saw that Magnolia Table was going to be released, I was so excited because I am a Chip and Joanna Gaines fan. Love Magnolia the store. Love the Magnolia bakery with all those cupcakes. Love the houses they redo. Love their family – what I see of it on television. And I love her style. I knew from the recipes of hers I had seen previously, I would love the cookbook. 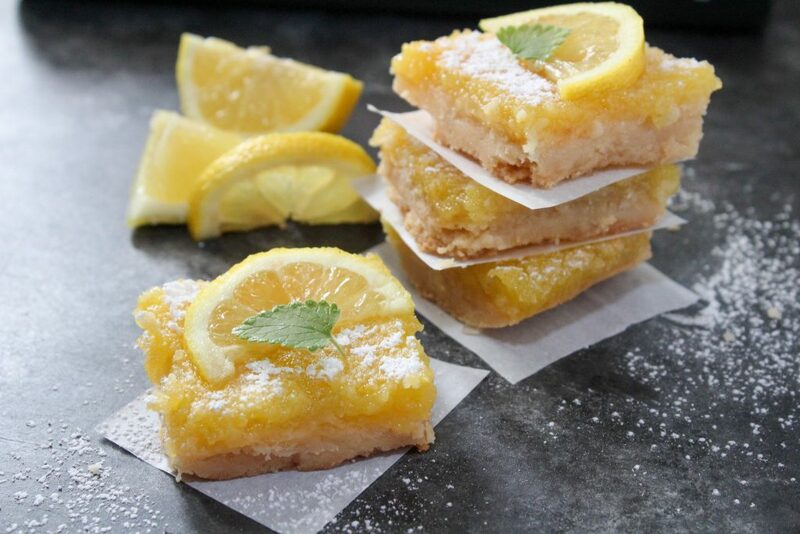 These Joanna Gaines Lemon Bars should entice you to get the cookbook. And I was right! Since I probably won’t be able to make it to Magnolia Table the restaurant anytime soon, this was the next best thing. Now to be clear, I did attempt to take my parents there on a Friday as an early birthday lunch for my mom but with a three-hour wait, I couldn’t ask my parents to sit through that and wait that long to eat. They’re so precious that they probably would have done it but with their health these days, I couldn’t do it. But we enjoyed our trip to Waco nonetheless. I received this book the day we got home from attempting to eat at Magnolia Table and I gave it to my mom to look at. Bless her little heart, I think she thought I meant to give it to her and she put it in her car to look at when she is waiting on the kiddos. I had to remind her that it was going back home with me. One thing I’ve always loved but never ever make for myself is Lemon Bars. When I saw the recipe in the cookbook, I knew it would be the first thing I tried and set the tone for the rest of the book. Boy howdy were these things a hit. With the flavor and the fact that they are so simple to make, these will make an appearance on my table many a times. I can’t wait to try other of Joanna’s recipes – like her biscuits and the Gaines Brothers Burgers. Everything looks so yummy! And I adore all the pictures of the Gaines family! Position a baking rack the middle of the oven. Preheat oven to 350 degrees F. Either spray a 9x13 in glass baking dish with cooking spray or line with parchment paper. In a mixing bowl, combine flour, melted butter, powdered sugar and salt. Mix with a fork until barely combined. You don't want to overmix. Place dough in baking dish and use fingers to flatten into the prepared pan. Bake for 20 minutes, or until the edges are lightly browned. In another mixing bowl, whisk together granulated sugar, eggs and lemon juice until combined. Pour lemon mixture into prepared crust directly out of the oven. Return to oven and bake 15 minutes. Tent with foil and bake an additional 15 minutes. Remove from oven and dust with powdered sugar. Let cool completely on wire rack. Cut when dish is completely cooled. Store in airtight container at room temperature for up to 1 week. For longer storage, wrap in plastic or freezer bag and freeze up to one month. 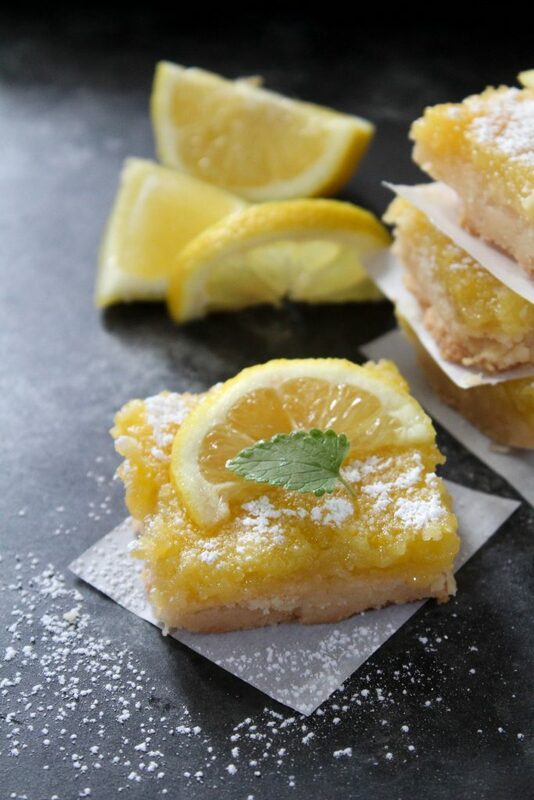 The lemon bar recipe in the actual cookbook calls for 1/2 pound of butter or 2 sticks. Four sticks would be too much! Thank you! Bad editor here!